give your speed test results as comments…………..
HELLO SIR WHATS YOUR NAME ? 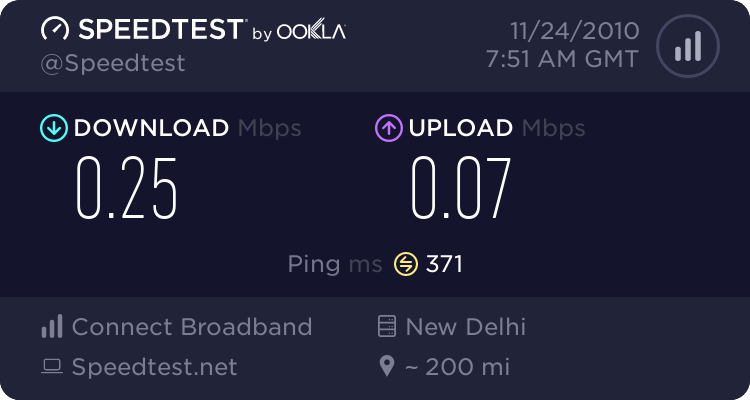 Nice to hear that you get good speed with Airtel. Hello, sujith dada. I am calling you dada becoz i m just 14 years old. I want to ask you that which network gives best EDGE internet speed? Airtel or Docomo. Also I saw the Tata 3G packs.Its so costlier that only 150mb in rs.350!! I like your site best bcoz you are so intelligent about internet with mobile phone. Your service is best of the best. THANKS FOR REPLYING VERY FAST! Hello all of you GPRS Experts its ANURAG. so it is very helpfull for us to select the network which gives best service. I hope you read my comment and think little bit about what I told . OK EXAMS ARE VERY IMPORTANT. hello Are Your exams over?